So you’ve decided you want a Wegie kitten. Great! But you need to make sure that you adopt or buy one from the right places–a shelter or an established reputable breeder. For starters, don’t look for Wegies in a pet shop. Legitimate Norwegian Forest Cat breeders will never sell their kittens at a retail pet store. Unless a local shelter or non-profit has an adoption drive in partnership with the store and they happen to have a verifiable Wegie kitten available for adoption, never buy a kitten from a private party claiming to be a breeder in front of a big chain or local pet shop. It’s just too risky, and it supports the continued operation of horrible “kitten mills”. 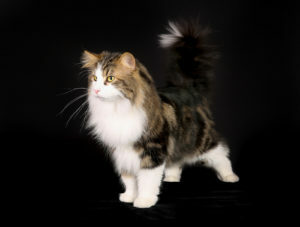 If you must have a purebred Norwegian Forest Cat, always go through an official recognized breeder. 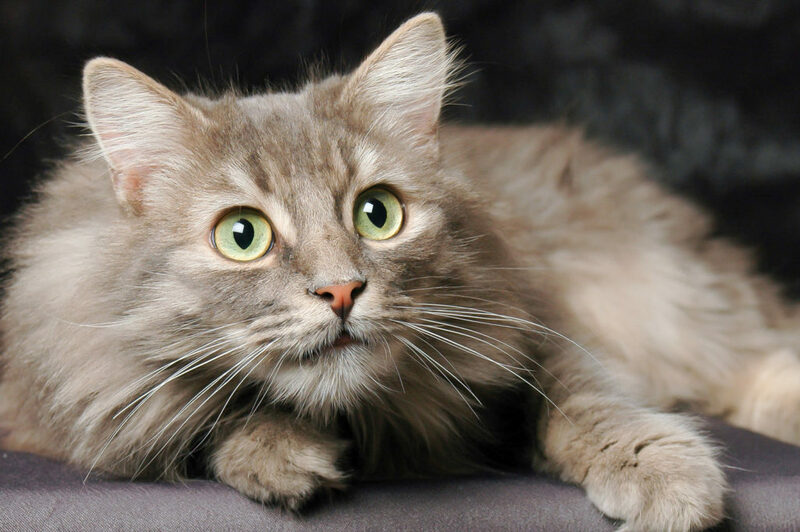 Any Norwegian Forest Cat breeder (or “cattery”) that you work with should be CFA registered, and the Norwegian Forest Cats Association also has a database of official breeders by U.S. state. When you’re buying a kitten, ask to see its parents. Any reputable breeder will allow you to see the parents of the kitten that you buy. Read reviews online of the breeder that you’re thinking of working with and don’t be shy about asking for references. When you do visit, make sure that the cats are being provided good living conditions. Reputable breeders put the quality of life of the cats and kittens above all else, and will happily let you examine the cats’ quarters. Ask to see the heritage records of the kitten that you’re interested in. This will ensure that you do indeed buy a purebred Norwegian Forest Kitten, and no honest breeder will mind you asking to see these. Ask for all health records of the kitten and what vaccinations and treatments they have received. This will show you that the breeder has cared for the kitten and looked after it in the appropriate way, and also highlight any potential problems that your future kitten may have health-wise. Above all, always follow your instincts. If you don’t feel right about the breeder when you visit them, don’t buy your kitten from them. There are many unscrupulous breeders out there, and you want to make sure that you’re buying the happiest, healthiest Wegie kitten that you can! I adopted 2 Norwegian cats from pet store in the 90s WHERE the owner passed away. They passed away. Now I would want as I have 2 small for kids that are 15 and 13 years old. I am ready to adopt another cat.